Is This The PK’s Strategy For Upcoming General Elections? The actor turned politician Pawan Kalyan who is touring the West Godavari region is aiming all his weapons to target the ruling party TDP. Once if we look deeply the way Janasenani is going, we can understand Pawan is not missing any opportunity to lambast TDP and Chandrababu Naidu whenever he gets a chance. He even reduced his attack on YSR Congress party and BJP but is not leaving anyone from TDP. As per the political strategists, it seems to be the plan of Pawan Kalyan for the upcoming elections. If we observe the recent happenings and the way Janasenani is taking up the things, we can easily predict that Pawan Kalyan’s main agenda for the upcoming general elections is to dethrone TDP from the ruling. 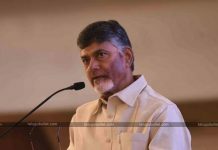 The political experts opine that Pawan is only targetting TDP to dethrone from ruling for the next time and he even seems to have no issues if Jagan gets into the CM chair as his focus in not on 2019 elections but 2024 elections. 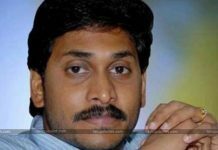 The political analysts opine that Pawan will definitely have an upper hand if Jagan forms a government and it would be easy for him to showcase people that he is better than Jagan in all the means and he can form the government in 2024. But to speak the ground reality, this might happen only if TDP fails to get into power. But as of now, the scenario seems to be completely different. It’s not that easy to dethrone TDP from the ruling. Can These Tollywood Actors In YSRCP Damage TDP?